The Man of Steel is coming to Netflix! 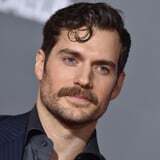 After leading films like Justice League and this Summer's critically acclaimed Mission Impossible: Fallout, Henry Cavill has signed on to Netflix's upcoming TV adaptation of The Witcher. The series is based on Andrzej Sapkowski's fantasy novels, which also spawned an insanely popular video game of the same name. Both versions of the story follow Geralt of Rivia, a sorcerer, outcast, and cold-blooded killer who's tasked with ridding the world of monsters. Lauren Schmidt Hissrich - who's produced everything from The Defenders to Parenthood - will serve as showrunner, but the real question is: is Cavill the right fit for Geralt? Netflix announced Cavill's casting via Twitter a few weeks back, describing The Witcher as "an epic, eight-episode fantasy series based on the best-selling book series." The British star has certainly played his fair share of quiet-but-powerful characters and definitely has no problem growing facial hair for a role, so Geralt's trademark gray beard should be a cinch. Hissrich herself tweeted that Cavill was the first actor she met with and she immediately knew he was right for the part. "He was my first meeting. I didn't have writers or scripts yet - just a greenlight and a lot of passion," she explained. "That was four months ago, and I've never forgotten the passion he brought. He IS Geralt. He always has been. I'm so thrilled to welcome HENRY CAVILL to the #Witcher family." Cavill celebrated joining the project on Instagram, where he joked about his new Netflix account. This isn't the first time the 35-year-old has professed his love of Geralt or The Witcher, either. Back in August, he shared a fan-made mock-up of what he'd look like as the character and told IGN that he was loving playing the third game in the series, Witcher 3: The Wild Hunt. He also revealed that he was a big fan of the books, noting that they're "well worth a read." Sounds like he might be the perfect fit. To top things off, Netflix finally shared a look at Cavill in character in October. With a long silver wig that would make Legolas jealous, Cavill struts up to the camera in all of his medieval glory. Do you think he's Witcher material?